We achieved these goals by working through this programme. What is one thing you are really quite good at? What is a random or interesting fact about you? After hearing what their partner had to say we asked people to talk to someone else. “An approximate response to a well considered problem is worth a great deal more than an exact answer to an approximate problem.” (Alison Petch, IRISS Director, Ardoch House, Jan 2014). With this group, sharing expectations proved to be a useful exercise. It grounded us in reality and reminded us all why we were there. This helped bring the group together. 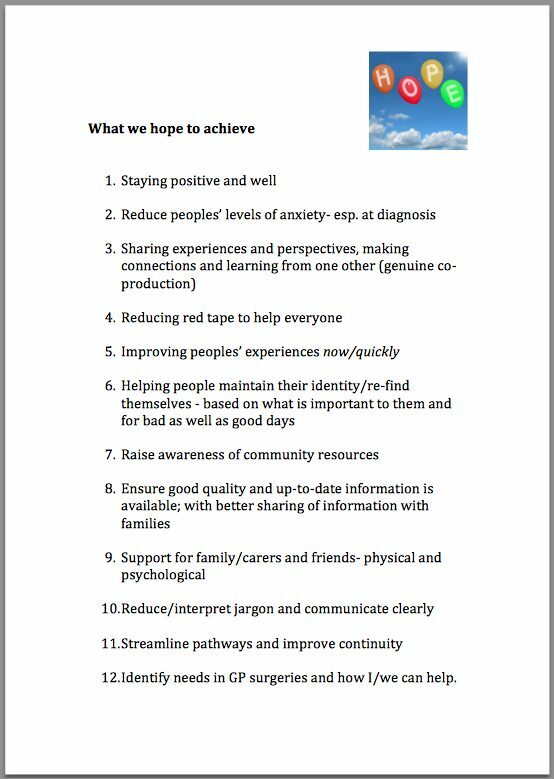 This is a synthesised version of what we decided we wanted to achieve together. Like idea of a project blog – but access denied/not available for some. Would be good to receive an email if a new blog post. Some in the group were also keen to contribute to the blog themselves which was encouraged. Noted that Chest Heart and Stroke have already produced a Glossary – a ‘Jargon buster’ type publication. We also proposed a ‘parking lot’ idea, as a space to identify words or terms that the group considered get in the way of effective communication. At the first meeting ‘co-production’ was identified as one of those words! 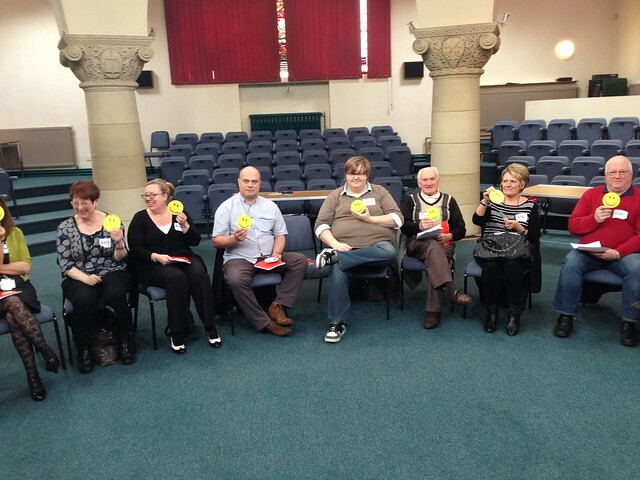 In addition, holding up ‘red cards’ if group members wanted others to stop when they didn’t understand was suggested, however the group decided this approach wasn’t necessary. 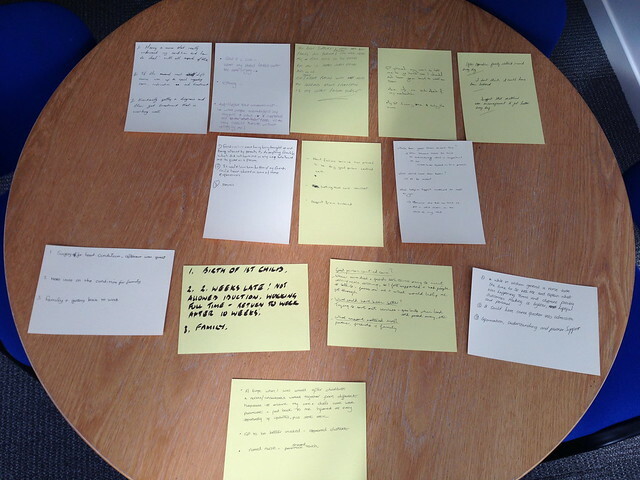 We played a short film, ‘The parable of blobs and squares‘ to introduce the concept of co-production. An alternative film you might want to use is ‘Co-production’ by SPICE. 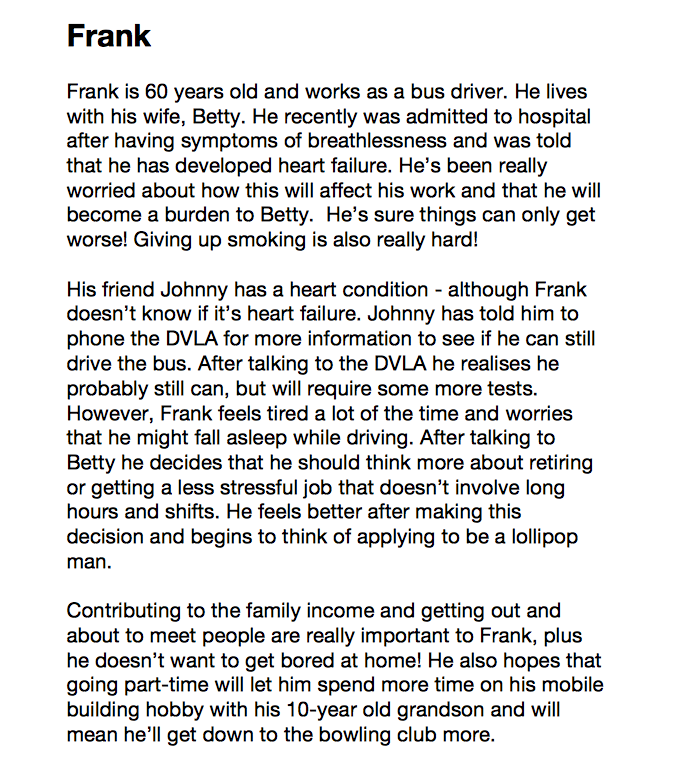 What’s been good person-centred care? What help or support have you received that has mattered the most to you? We asked people to write answers to these questions on a card and place it in an envelope. These were then passed around the group until the music stopped, people then read aloud what was written inside. Next, we worked in small groups to identify initial ideas that people thought could improve support for people with heart failure. 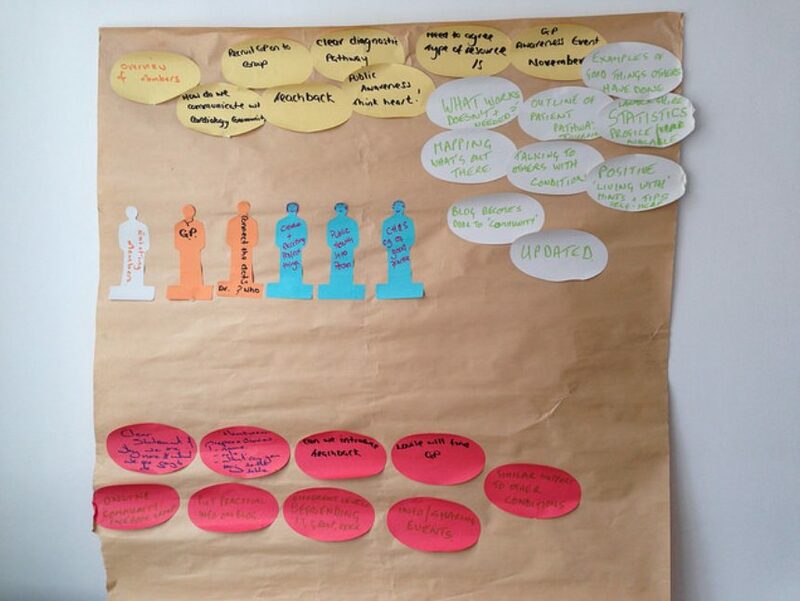 We were mindful that most of the group were meeting for the first time, so exercises were devised so that group members could draw upon their own experiences, but did not need to share them. 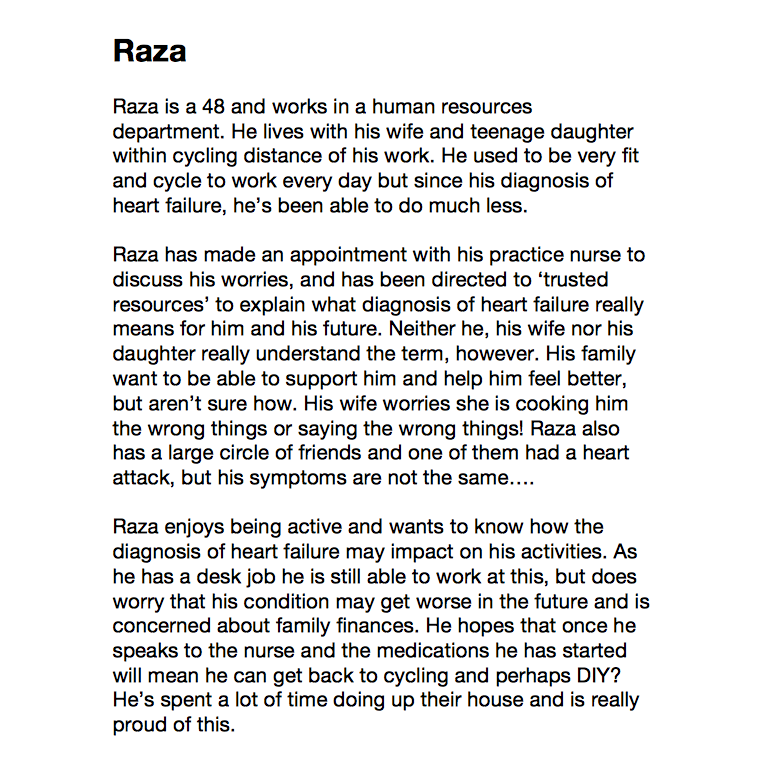 For this reason, we created ‘personas’ or characters, devised with the help of Chest Heart and Stroke, to map pathways (or experiences) from pre- to post- diagnosis. 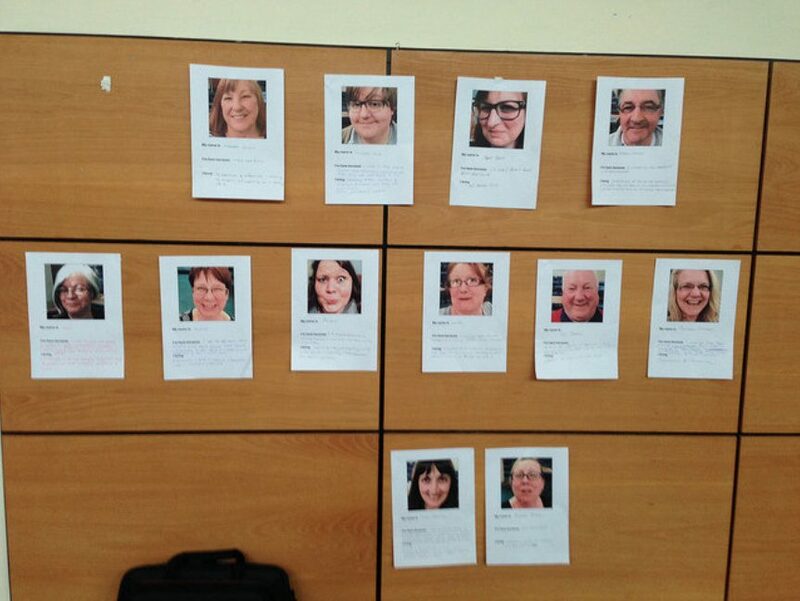 Here are the personas we used. 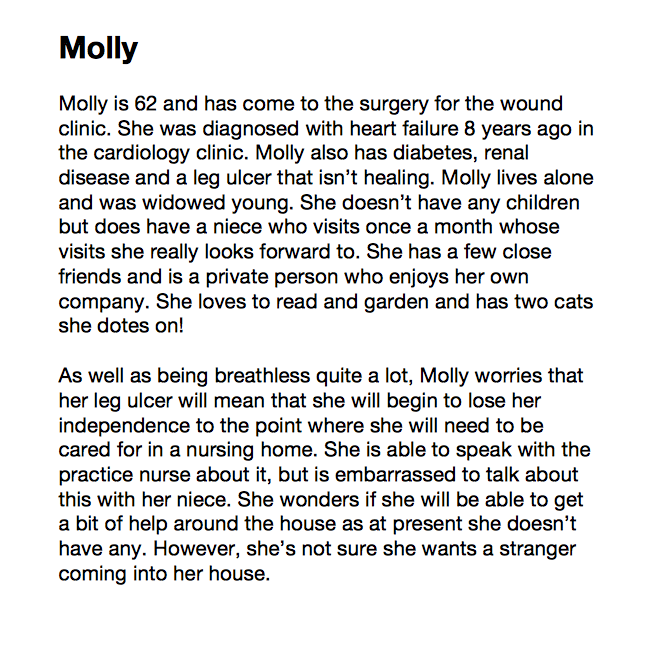 Persona 3: Molly To create these pathways we used lining paper and asked groups to plot key points for each of their personas to identify positive and negative experiences at: pre-diagnosis, diagnosis and post-diagnosis stages of heart failure. They were then asked to reflect on the experience they had plotted and discuss how the experience could have been improved. This discussion was also recorded on the maps. These are the experience maps drawn for each persona. What else do we need to know/learn about to bring back to the group? Who can help us understand and learn this information? Is this knowledge within the group? What other expertise do we need to invite to join the group? What do we need to do between now and the next session to make some/all of this happen? 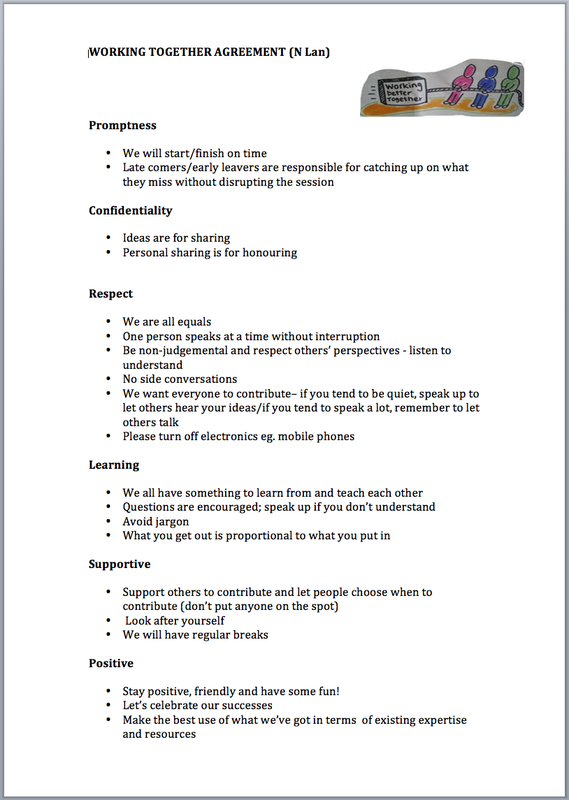 From this discussion the group identified these 16 improvement ideas that could inform group activities. However, the group suggested an addition. This was to produce a personal profile for next time highlighting why they were here and what they could bring to the table. We went for an ‘evaluation-lite’ approach, asking small groups to reflect on their gut reaction to the day and to feedback to the whole group using: smiley, not so sure, and unhappy faces. Less of a feeling of being on my own.